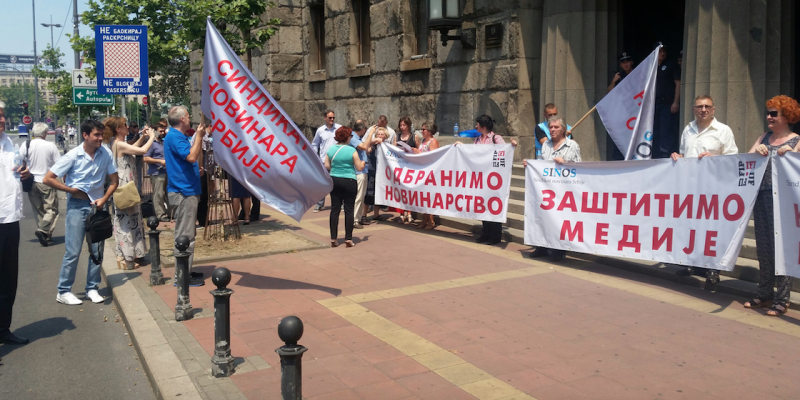 Journalists’ Union of Serbia (SINOS, EFJ-IFJ affiliate) and the Professional Association of Journalists of Serbia (PROUNS) held today (08/07/2015) an indignation rally outside the building of the Serbian Constitutional Court. SINOS members demanded the Constitutional Court to take into consideration the initiative for assessing the constitutionality of the new law on public information submitted by several media associations almost a year ago. According to SINOS, the new law could hamper the transparency of media ownership resulting in some tycoons and political parties owning most of the media. 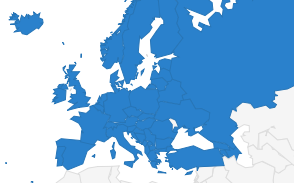 In August 2014, the Serbian Parliament adopted a new package of media legislation (Law on Public Information and Media, Law on Electronic Media and Law on Public Service Broadcasting) aiming to enhance transparency of media ownership, ensuring media pluralism and aligning relevant legislation and practice with European standards. 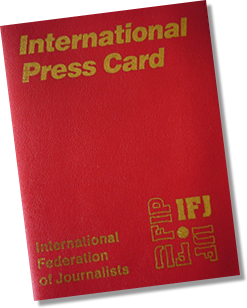 Journalists Union of Serbia (SINOS) is particularly worried by the “forced privatisation” of major media outlets and the “project-based” media financing system which could threaten public interest. 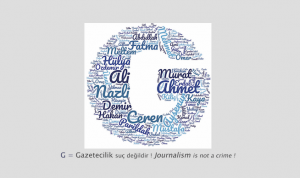 According to figures published by SINOS, “out of 72 media owned by the local governmental bodies, 50 are for sale. If there are no interested buyers, free shares will be distributed to employees and the media will be deleted from the registry. Such a fate is waiting for remaining 22 public service media, which did not submit the required documentation regarding their privatization”. In his latest report on Serbia published today (08/07/2015), the Commissioner for human rights of the Council of Europe, Nils Muižnieks, “welcomes the strengthening of the legislative framework concerning media freedoms” but he remains “seriously concerned that issues pertaining to media freedoms are discussed in a highly polarised and politicised environment”. “Impunity for war crimes, discrimination and lack of media freedom hamper human rights progress”, says Commissioner Nils Muižnieks.